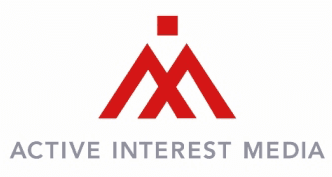 One of the world’s largest enthusiast media companies, Active Interest Media (aimmedia.com) produces leading consumer and trade events, websites, magazines, and films and TV shows that reach 40 million readers, fans, and attendees in 85 countries. AIM powers the second-richest equestrian competition in the world, the World Series of Team Roping, and North America’s most important events and education for fitness professionals through our IDEA Fit division. Our brands include Yoga Journal, Backpacker, SKI, Anglers Journal, Yachts International, Sail, Power & Motoryacht, Team Roping Journal, Practical Horseman, EQUUS, Muscle & Performance, Horse & Rider, Oxygen, Clean Eating, Log Home Living, Old House Journal, Cabin Living, Woodsmith, Garden Gate, and more. The company’s five divisions—the Equine Network, Home Group, Healthy Living Group, Marine Group, and Outdoor Group—also operate thriving B2B platforms, online universities, and retail events. Core competencies include lead generation (through our Qualified Buyer Program), marketing services (through our in-house agency, Catapult Creative Labs), and video production. Warren Miller Entertainment is the most successful adventure-film company in history, and AIM Studios is a seven-person unit dedicated to digital video. that will inspire and enable them to enjoy their passions. Our people are not dabblers. They’re not spectators, armchair enthusiasts, or fair-weather fans. They are doers. AIM’s 40 million followers sail across oceans, shoe their own horses, and teach yoga to their friends. They take the path less traveled and obsess about the gear needed to make every adventure a life-list memory. Our people are not dabblers. They’re not spectators, armchair enthusiasts, or fair-weather fans. They are doers. AIM’s 36 million followers sail across oceans, shoe their own horses, and teach yoga to their friends. 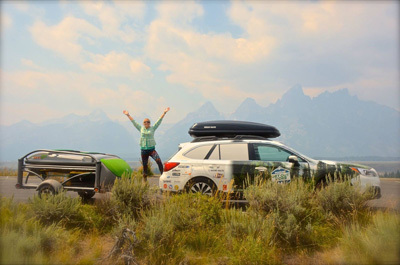 They take the path less traveled and obsess about the gear needed to make every adventure a life-list memory. Whether you hike, ride, woodwork, or practice yoga, our brands curate best-in-class experiences that enable participants to enjoy their passions. Want to perfect your downward dog? Attend one of Yoga Journal’s live teaching sessions. Dreaming of a fitness career? Our IDEA division has the training and professional certification you need. Want to build a log cabin? Don’t miss our Log & Timber Home Shows. And horse lovers must attend the World Series of Team Roping, the world’s biggest and most exciting equestrian competition. Catapult Creative Labs exists to facilitate dynamic conversations between our brand partners and AIM’s passionate followers. To achieve clients’ marketing goals, our marketing services team will co-curate authentic messaging and tap AIM’s experts, research, and technology to engage targeted customer sets. Current clients are using us to execute ad creative, video, custom content, PR campaigns, events, and lead generation. Our video production team harnesses decades of filmmaking expertise to create engaging content for our audiences and advertisers. 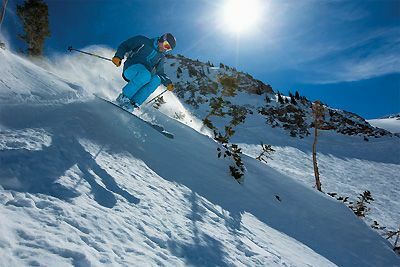 AIM Studios is the TV production unit of Warren Miller Entertainment, the original outdoor production company, and is equally adept at filming in our state-of-the-art green-screen studio and in extreme environments around the globe. AIM’s interactive online universities share the trusted expertise of our brands in an entirely new way. Offering courses built by our editors and real-time engagement with authoritative instructors, our classes are a perfect way to learn a new skill at your convenience. Choose from yoga, cooking, fitness, weight loss, thru-hiking, and first aid classes (with more coming soon).